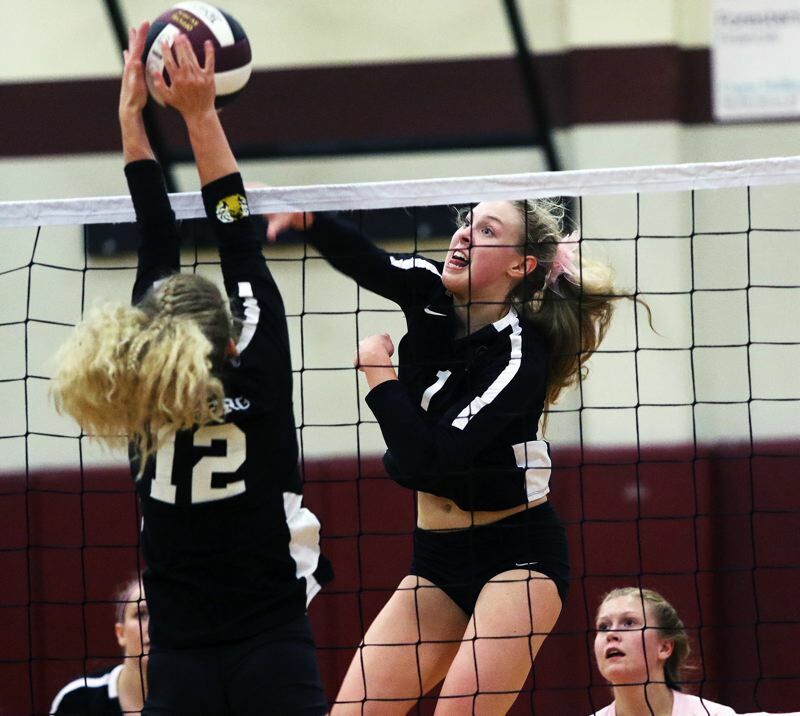 The Sherwood High School volleyball team had what could be called a successful debut in the Pacific Conference. Meanwhile, Lady Bowmen junior outside hitter Alli Douglass had would definitely could be called a triumphant return to the court. Douglass, who was sidelined during her sophomore season due to injury, returned to help Sherwood put together a 7-5 record in conference matches (10-9 overall), putting the Lady Bowmen in a tie with Liberty for third place in the final Pacific Conference standings. Douglass, for her play in the 2018 season, was named to the All-Pacific Conference first team as an outside hitter. Douglass was one of six Sherwood players to earn all-conference honors. Lady Bowmen senior Alyssa Haslip was a second-team All-Pacific Conference selection as a right side. Sherwood junior setter Allison Fiarito, senior libero Alyssa Dillree, junior middle blocker Natalie Kapuniai-Ryan and junior middle blocker Julia Leitzinger were each All-Pacific Conference honorable mention picks. Liberty senior middle blocker Bea Wetton was named the Pacific Conference Player of the Year. McMinnville's Ben Patterson was tabbed the Pacific Conference Coach of the Year. Sherwood, which was the No. 25 team in the final OSAA power rankings, saw its season come to a close with a 25-20, 25-18, 25-19 loss to Lincoln, the No. 9 team in the power rankings, in a Class 6A state playoff first-round match held Oct. 24 at Lincoln High School. The playoff loss marked the final high school contest for Sherwood seniors Dillree, Kaylee Ocheltree and Haslip.